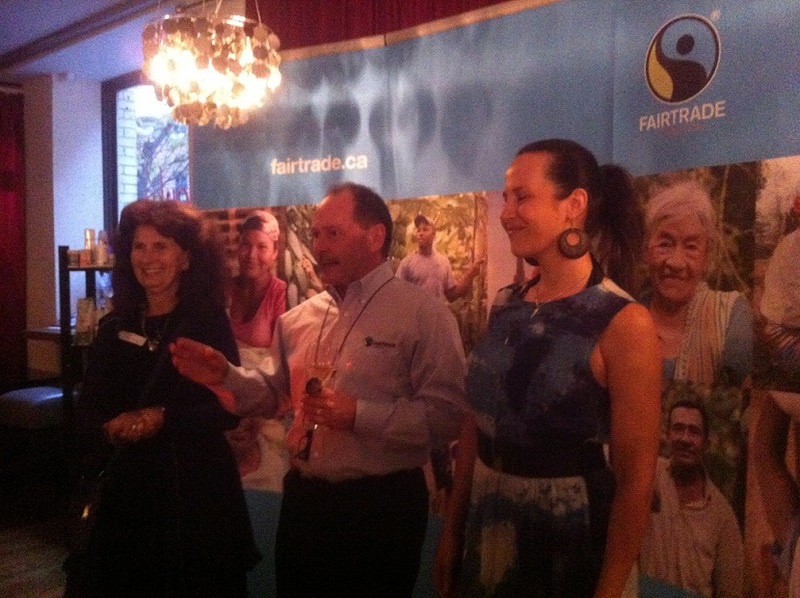 A special award was presented to the company Arayuma on October 3rd 2013 in Toronto for their product -Premium Organic Coconut Milk-, voted -Canada-â„¢s Favorite Fairtrade Product for 2013- by a large number of Canadians during Fair Trade Fortnight. The Fair Trade Fortnight is an annual two-week blitz celebrating and promoting all Fair Trade, taking place during May 1st to 15th. 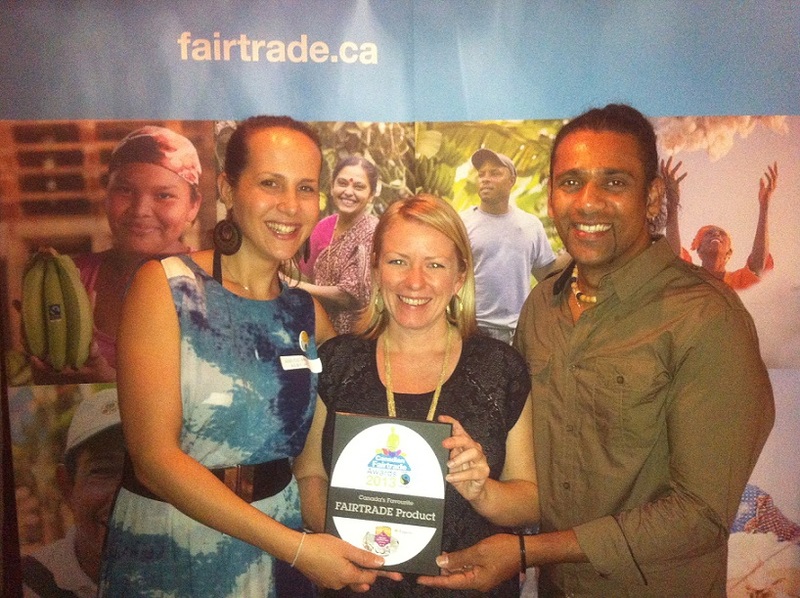 Fair Trade Canada presented this award to Chanaka Kurera and Marise May who are the founders of Arayuma.‚ Chanaka is a Sri Lankan born with proud humble beginnings from Negombo who currently reside in Montreal, Quebec along with his wife Marise and two daughters.‚ Upon receipt of this milestone the duo put their product and Sri Lanka on the fair trade map. During the award presentation Marise took the opportunity to thank all her customers, family, dedicated employees, fans, suppliers and organizers, she reiterated that the company-â„¢s prime objective has always been for growth and assistance to fair trade farmers.‚ She concluded her speech to a cheering audience with an Irish tap dance.‚ Chanaka was speechless with much joy for the overwhelming votes Arayuma had received and thanked everyone for their continuous support over the years. He amazed the crowd by singing a beautiful Sinhalese song and dedicated their hard earned award to all Sri Lankan farmers, which left tears in the eyes of some fair trade board of directors. Marise May, and her husband, Chanaka Kurera, started Sahana Ayurvedic Products, Inc. in May-â„¢s native Montreal in 2007. The company imports and distributes fair trade organic, herbs and spices, coconut milk, coconut water as well as ready-to eat curries, all purchased ethically from Sri Lanka. The products are sold under the brand name Arayuma, which means -invitation- in Sinhalese.‚ As stated in Arayuma-â„¢s website their philosophy, -is that all trade should be fair-. The farmer-â„¢s project which produces their products is the first of its kind in Asia. The farms are run in a sustainable way and the project gives back to the community by helping to build infrastructure and schools, in addition to ensuring fair prices for the farmers.‚ Furthermore, the couple-â„¢s environmentalist ideology has ensured that one percent of the sales from their coconut milk and coconut water go towards protecting Sri Lanka-â„¢s wild elephants.‚ Their passion and dedication to fair trade and Sri Lanka should be commended all around. Awards are Secondary. What is the most important is Market exposure or popularity among customers. How Popular it is among Canadian – …….. who use it ? Mr. AnuD, first of all did you read the article? awards a primary because of all the hard work these two have done, if you would like to know the answers to your question I would visit their site. It is supply and demand my friend and their customers are from all walks of life, I would be a little bit more informative before posting such questions. Mr. AnuD, first of all did you read the article? awards are primary because of all the hard work these two have done, if you would like to know the answers to your question I would visit their site. It is supply and demand my friend and their customers are from all walks of life, I would be a little bit more informative before posting such questions. I am going to place my order for their products soon, I would suggest you do the same. This entry was posted on Monday, October 7th, 2013. You can follow any responses to this entry through the RSS 2.0 feed. You can skip to the end and leave a response.